BFE Italia's Davide Pierini assisting in Dr. Edson Filho's study. This was definitely a change of pace from my normal schedule: standing in a multi-storey training room, with aerial trapeze artists dangling from long fabric strips in one corner, a team of acrobats doing handstands one on-top of another on the far side of the room, and myself among the jugglers. No, I'm not a juggler; I was there to run a psychophysiological assessment on them. Off to the Circus We Went! My situation came to be when I was approached by Davide Pierini, the head of BFE Italia, who received a request for assistance on running a study by Edson Filho, Ph.D., from the Behavioral Imaging and Neural Dynamics (BIND) Center at the University of Chieti-Pescara (Università degli Studi G. d'Annunzio Chieti e Pescara), Italy. Through a competitive selection process, Dr. Filho was granted access to the students of the National Circus School (École Nationale de Cirque) in Montreal, Canada. As one of the top competitive circus schools in the world, with only a small skip away from the headquarters of prominent circus companies such as Cirque de Soleil, Tohu, Seven Fingers circus, and Cirque Eloize, no sport scientist would pass over such an opportunity of access, and the BFE was just as excited to help with the project. Off to the circus we went! 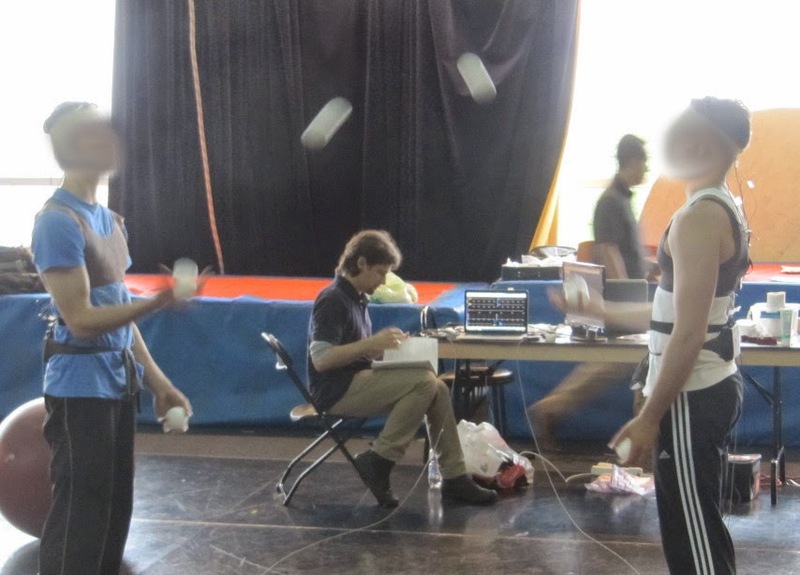 The goal of the study was to examine the psychophysiological readings of jugglers at different performance levels, and to compare when the juggler is performing on their own and when teamed up with a partner. The hypothesis was that we would find increased coherence between the individuals of each juggler team. Measuring performance level of jugglers on their own or with a partner. There were inherent difficulties to deal with in the data acquisition process of the assessment. 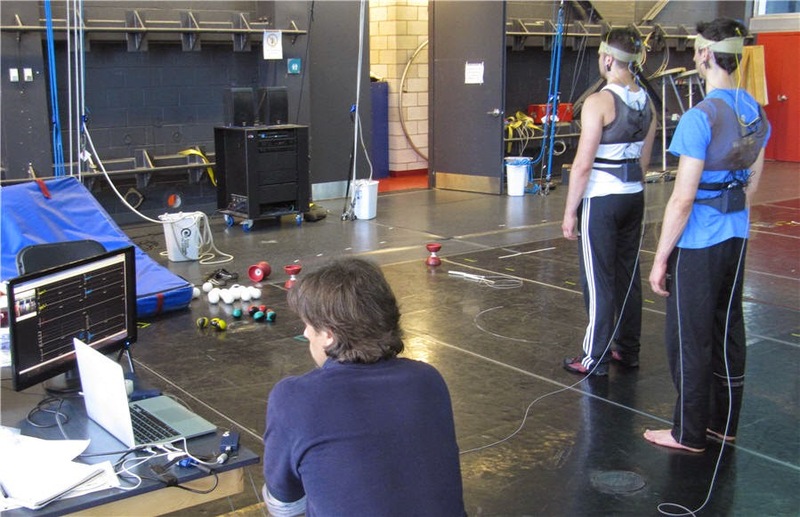 Juggling requires movement so electrodes and equipment needed to be well secured to the subjects. Artifacts needed to be minimized to the best of the jugglers' abilities, but within the confines of their performance. To address these issues, we fashioned nylon shirts and belts in order to better hold the equipment and cables taut to the juggler's bodies. 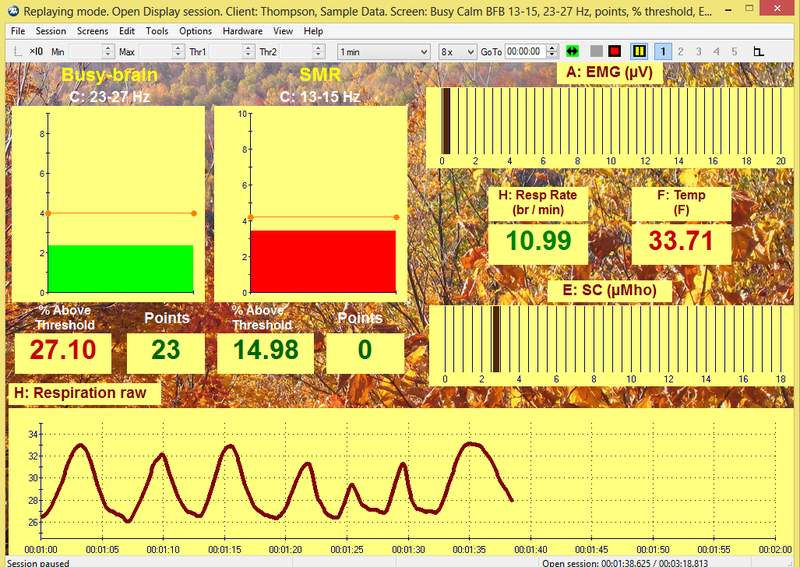 We recorded four-channels of EEG, along with heart rate, respiration and skin conductance. There was some definite trial-and-error preparation on how to best collect our data, but in the end it all worked out really well. 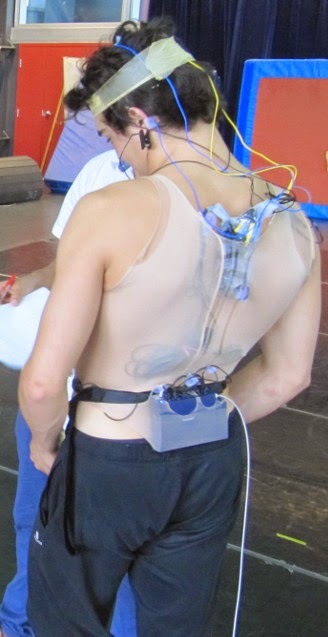 We recorded four-channels of EEG, along with heart rate, respiration and skin conductance. I am happy to report that two full days, and much EEG conductive paste later, we had our study data. Even with helpful tips from professionals, my juggling has not improved, but I have a much greater appreciation for athletes that train in the circus arts. Planning a study and need assistance with the physical setup or design of the evaluation software? Looking to create a protocol tailored specifically to your own needs? 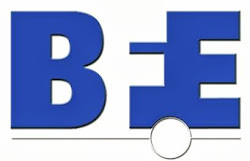 The BFE is here to help with their Software to Meet Your Needs program, as well as Private Mentoring to answer your clinical questions. The BFE ventured into the world of specialized biofeedback and neurofeedback software packages almost 10 years ago. We moved slowly and cautiously, to create custom-built sessions in order to share methods of experts in the field of bio and neurofeedback. The BFE will forever be grateful to Dr. Michael and Lynda Thompson, for their collaboration. As well-known names in our field, their willingness to share the collective insight of their ADD Centre in Toronto, Canada, gave the BFE its first opportunity to build a software suite that gives a helping-hand to any therapist looking to advance client care with bio/neurofeedback. From their knowledge was born the "Setting Up For Clinical Success" suite and "Specialized Application Scripts" suite, now often referred to as simply the "Thompsons' Suites". suitable for performance enhancement with athletes and over thinkers. Many clinicians swear by the Thompsons' Suites as being the best and most in-depth collection of screens and scripts available, for such a wide spectrum of client disorders and needs. The Thompsons' design and methods extend to ADD/ADHD, Aspergers, autism, anxiety , depression , optimal performance training, seizures, stress and more. Each display arranges different relevant physiology and EEG bandwidth statistics, such that every individual possible requirement for clinical treatment is covered within the whole suite. 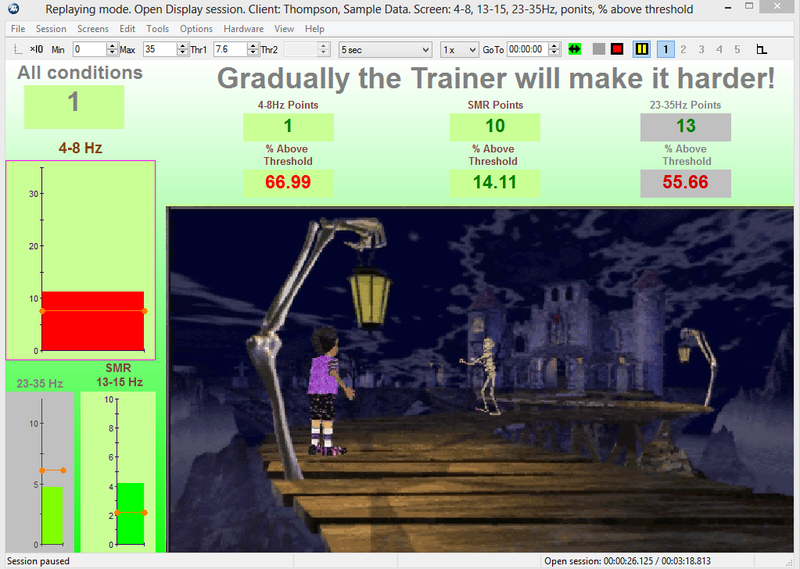 The "Setting Up For Clinical Success" suite provides all the display screens for independent training, while the "Specialized Application Scripts" suite provides pre-defined 20-to-30 minute long protocols for training ADD/ADHD, seizures, Aspergers, dyslexia, depression and optimal performance. 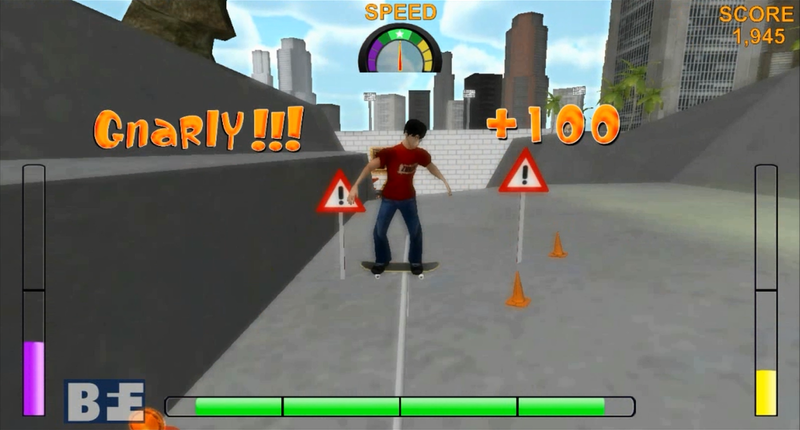 ADD/ADHD children - point counters included for gauging success and challenging the subject. The guidance and patience the Thompsons provided the BFE can also be found at the workshops they host. Whether you're a novice clinician that wants to improve your basic knowledge of the clinical EEG biofeedback field, or an experienced practitioner that desires to broach advanced material, their Neurofeedback Fundamentals workshop is the opportunity to learn from these world leaders of the field. We strongly encourage any professional that is interested in neurofeedback to consider the Thompsons' workshop. Past workshops have welcomed participants from Europe, Asia, Africa, Australia, United States, and Canada. For more information on the next Neurofeedback Fundamentals Workshop hosted by Michael and Lynda Thompson, just outside of Toronto, Canada, contact the ADD Centre directly at: ADDCentre@gmail.com. Recently, Dr. Lynda Thompson spoke about neurofeedback on The Agenda with Steve Paikin. Click on the image below to view the interview.